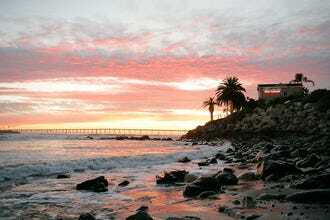 If you're in the mood to plan a romantic vacation, look no further than Santa Barbara. White sand beaches beckon, red tile roofs span the horizon, and brightly colored hibiscus and bougainvillea bloom on nearly every corner. You'll spend your days shopping, dining and wine tasting, but the real question is: where will you spend the night? 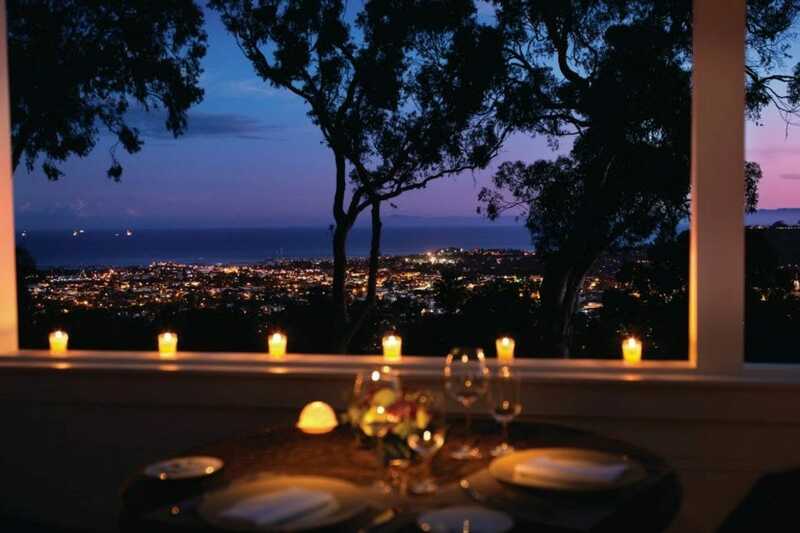 Fortunately, Santa Barbara is also home to dozens of romantic hotels. Whether you're looking for a luxurious, full-service resort or an intimate bed and breakfast, there's a place that's just right for you. To help you narrow down your choices, we've created this list of the 10 most romantic hotels in Santa Barbara. Book an ocean view room at The Ritz-Carlton Bacara for a weekend you won't forget. Looking for a cozy place with a great restaurant? 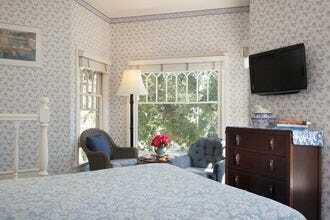 Get a room at The Upham, the oldest continuously operating hotel in Southern California. From there, it's an easy walk to downtown shopping and nightlife. Take a tip from us and reserve your hotel room early, especially if you want to visit around the holidays or during a summer weekend. Since Santa Barbara is such a short drive away from Los Angeles - and so beautiful - it attracts a lot of visitors. The best hotels fill up quickly! The Goodland has all the perks of a big hotel, paired with all the charms of a small one. Hip couples looking to hunker down for the weekend will find everything they need onsite: a gorgeous pool, great food and, of course, cocktails! Feel like going out? Borrow some beach cruisers from the front desk and explore the surrounding neighborhood. 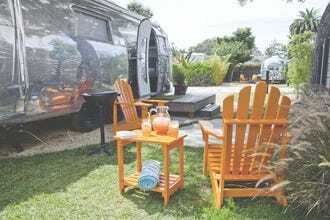 Rooms are decorated with a laid-back surf vibe and include high-end amenities like flat screen TVs as well as retro comforts like record players. The Goodland is extremely pet friendly; as long as your pet fits through the door of your room, he or she can stay for free. 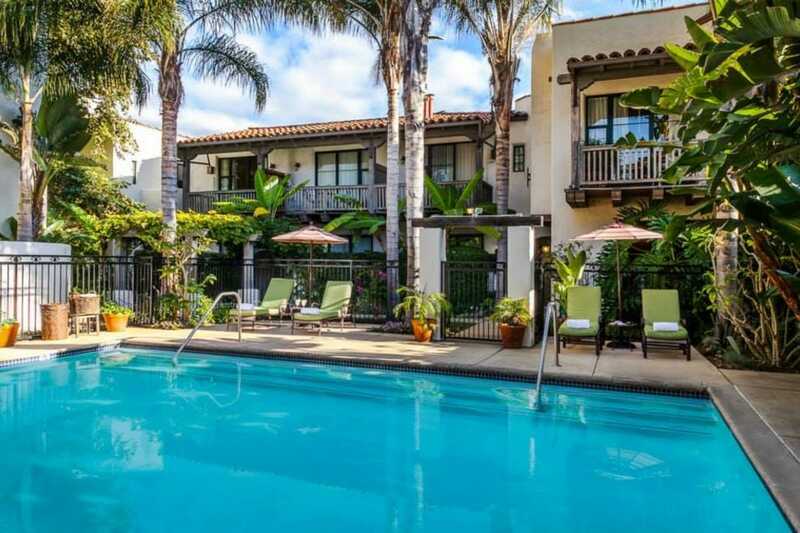 Located in Goleta, this hidden gem of a hotel is not far from the Santa Barbara airport and a 10-minute drive from downtown. Just three blocks from busy State Street in downtown Santa Barbara, this enchanting Mediterranean hotel is the perfect place for a romantic escape from daily life. The Spanish Garden Inn has guest rooms and suites that are outfitted with Italian linens, French press coffee makers and fireplaces. Their deluxe continental breakfast--complimentary with your reservation--includes mouthwatering quiches and rich espresso drinks. There's a heated outdoor pool, and in-room spa services are available. In the evening, an onsite wine bar offers select local and featured wines by the glass or bottle (and an assortment imported and domestic of beers). Free underground parking is included with your stay. Burnt out on the beach scene? Lucky you. 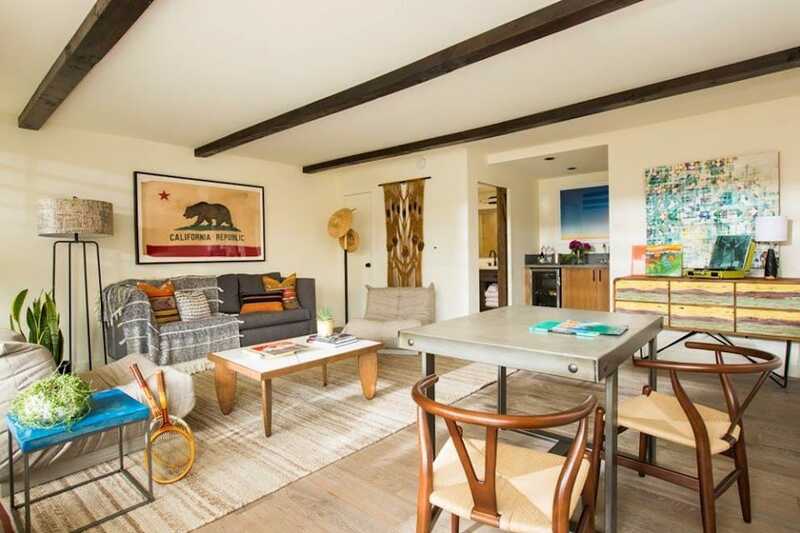 Switch it up and spend some time in the nearby town of Ojai, an artsy community just a bit south. The Ojai Rancho Inn is located conveniently close to the downtown area, a beautiful small town less than an hour away from Santa Barbara. 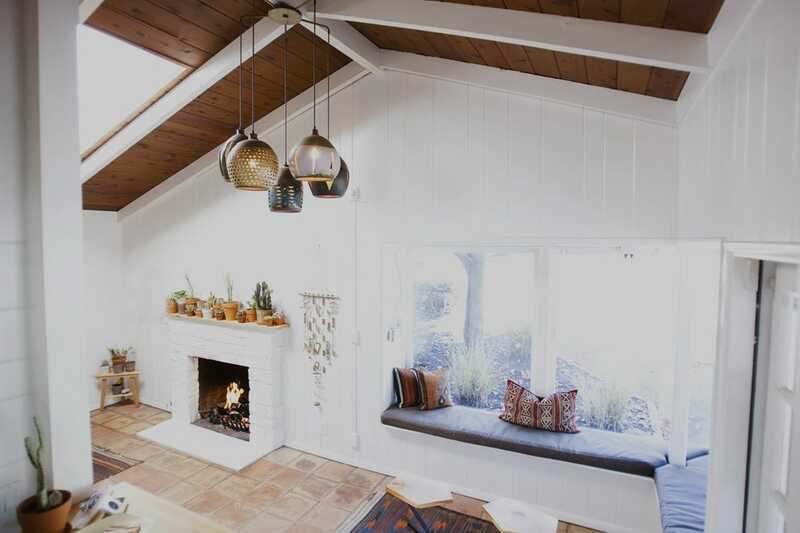 Rustic decor and charming touches lend this inn a true California getaway feel. 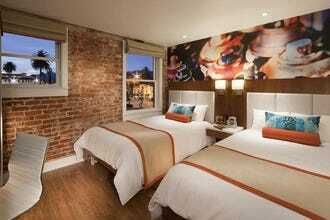 Rooms include king beds, free Wi-Fi and music docks. There is both a pool and a sauna. Free bicycles are available for guest use. Some rooms even have their own private jacuzzis! The Ojai Rancho Inn is available to reserve as an event space, as well, and live bands often play here on warm evenings. Pets are welcome with a small additional fee. Craving a memorable overnight getaway? Nestled in the heart of the Danish village of Solvang, The Landsby is a stunning boutique inn featuring a clean, contemporary design inspired by traditional Scandinavian aesthetic. There's a scrumptious restaurant and great bar onsite, but our favorite perk is the in-room ice cream! Perfect for a romantic weekend, with many fun sights in easy walking distance. See the windmills and shop the charming main street of this picturesque town less than an hour's drive from Santa Barbara. There are dozens of wine tasting rooms and vineyards nearby. Pet-friendly rooms are available upon request (so you can bring the other love of your life with you, too). Hey lovebirds, ready to escape the hustle and bustle of city life? Look no further than the Ritz-Carlton Bacara. Located on 78 acres of pristine coastline on Santa Barbara's northern shore, the Bacara offers you and your date a taste of unbridled luxury. 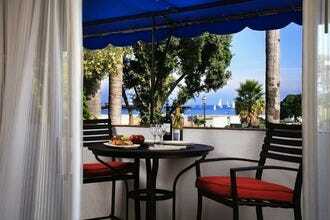 Each guest room has an ocean, garden or mountain view. Many have fireplaces and soaking tubs. And did we mention that adorable bunnies are often spotted hopping along the grounds? Visit their world-class spa for a rejuvenating treatment or trip to the sauna. You can take a dip in one of the saline pools or simply walk down to the beach for a romantic stroll. There's a tasty steakhouse and a wine tasting bar onsite. In fact, there's almost no reason to leave the property. For a romantic weekend (or week) of wining and dining in Santa Barbara, book your stay at the brand new Hotel Californian. Located steps from the beach and just a block or two from many of the best wine tasting rooms and restaurants in the area, this luxury hotel is a great choice for couples who want to do it all, no car necessary! A rooftop pool with a view of the ocean, onsite Turkish-inspired spa and two restaurants add to the appeal. Beautiful tile work and lighting throughout make this one of Santa Barbara's most photogenic hotels. If you stay at the Californian, your vacation snaps are practically guaranteed to make everyone you know very jealous. Cuddle up at the Kimpton Canary Hotel, and we'll tell you a secret: this hotel has the nicest mattresses of any Kimpton. Slip into pillow-topped comfort wrapped in Frette linens at the end of a lovely day spent sightseeing in downtown Santa Barbara. Less than a block off the best part of State Street, The Canary features five floors of beautiful decor (handpainted tiles! custom wrought iron! ), dining and entertaining amenities, and gorgeous rooms. Four-poster beds, hardwood floors, plush robes and private balconies are just the beginning. And did we mention the rooftop pool with amazing views? The Canary is also extremely pet-friendly so go ahead and bring your four-legged sweetie too. If your sweetie likes historic, old town charm, The Upham Hotel and Country House is a must. 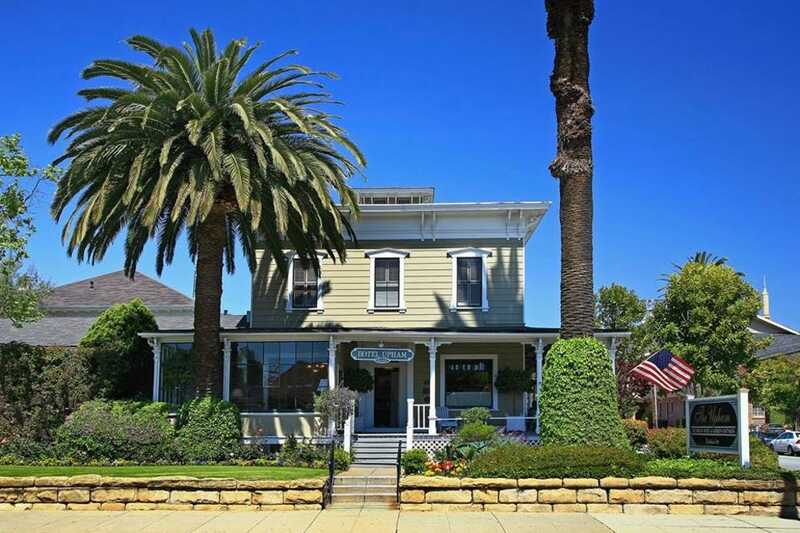 Built in 1871, The Upham is the oldest continuously operating hotel in Southern California. It's located just two blocks from downtown--great shops, theaters, parks and restaurants are all within easy walking distance. The main hotel features 58 rooms to suit every size need, from cottage rooms to master suites, all beautifully furnished. The onsite restaurant, Louie's Bistro, celebrates Central Coast flavors in an intimate setting. There's even a wine bar that seats just three or four people. Across the street is their Country House, featuring bed and breakfast style accommodations with luxury accents like waterfall showers and sunny verandas. Book a bungalow at the Belmond El Encanto to experience one of Santa Barbara's most legendary properties. Perfectly situated in a secluded, quiet part of town, the El Encanto is famous for its romantic views and luxury standards. 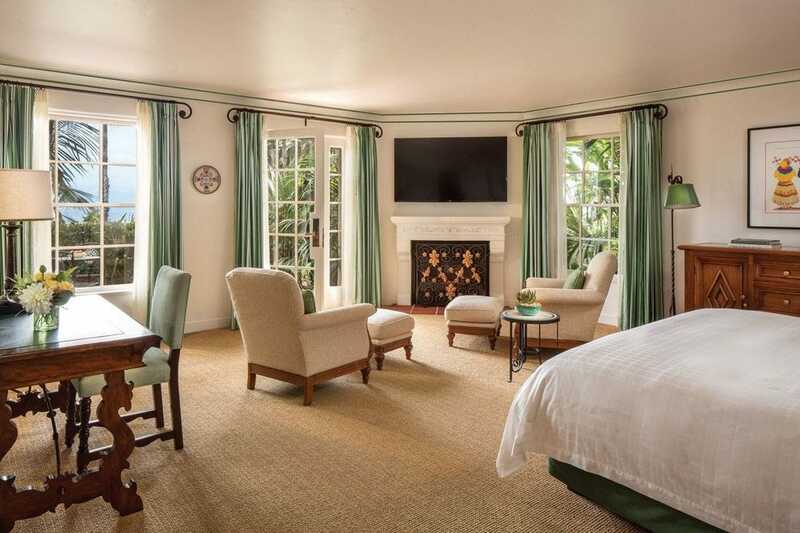 Long a favorite of the Hollywood crowd, the recently renovated El Encanto treats every guest like a VIP--right down to outfitting your bed with appropriately monogrammed linens. Book the "Retreat to Romance package" and your stay will include a bottle of champagne, couples massage and candlelit turndown service. There is a spa, restaurant and bar onsite. Stroll the lush grounds or pause for a refreshing cocktail, and you'll feel transported above stress of daily life, exactly the goal at the El Encanto. 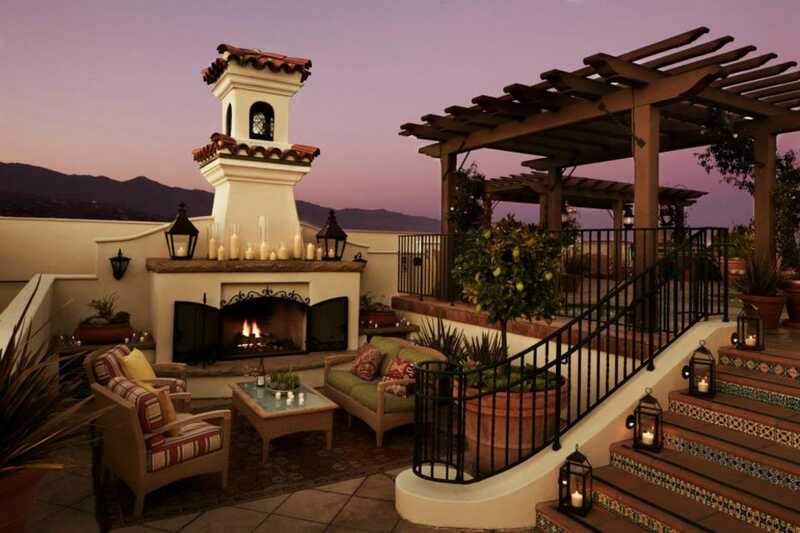 If your romantic hotel checklist looks something like this--beachfront, exclusive amenities, possible celebrity sightings, ridiculous levels of hospitality--then the Four Seasons Resort The Biltmore Santa Barbara is where you want to stay with your loved one. 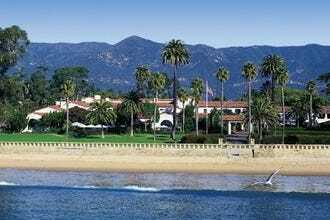 One of the most beautiful hotels in Santa Barbara, the Biltmore is located just across the street from Butterfly Beach, one of the most pristine white sand beaches in Southern California. Access to the exclusive Tydes restaurant comes with your reservation. There's no more scenic place to watch the sunset over the ocean while you dine. Downtown Santa Barbara is just a short drive away, and one of Montecito's best shopping and dining districts is within walking distance.